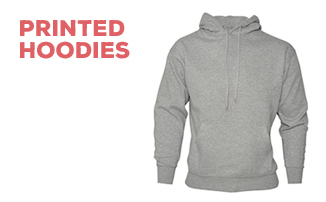 If you’re thinking of purchasing branded garments from the My Printed Clothing website, you may have a few questions about our service and the products we provide. Below is a list of frequently-asked questions; you should find the answers you need there. If not, feel free to give us a call on 0845 850 9836 and we’ll be happy answer your question over the phone. You can also email sales@myprintedclothing.co.uk. Should I have a Customer Shop? If you wish to buy clothing branded with your logo regularly then we would advise setting up a customer shop so that you can very quickly pick the items you want as if off the shelf. You can either allow your shop to be public so that anyone can see it, or you can have a private shop that only you can see when you login. For more information drop us an email on sales@myprintedclothing.co.uk. Creating a My Printed Clothing Customer Shop couldn’t be easier! Once you’ve placed an order with us we’ll have a record of the garments you have ordered within our customer database, so if you are likely to order them again just drop us an email or give us a call and we’ll very quickly setup a shop window for all of your branded clothing requirements. Yes. Once you have uploaded your artwork and submitted your order, a member of our team will contact you to confirm your design and ensure that you wish to proceed with your purchase. You will receive a proof of your garment design via email; in the unlikely event that you are unsatisfied with this proof, you can discuss changes with our design team to make sure that you get exactly what you want. First of all, you will have to approve our proof of your design (see above). Once you have given your approval, your garment(s) will be created and shipped to you. The length of time to process the order will depend upon the number of garments you have ordered and the complexity of the printing or stitching. We would usually advise around 3 to 5 working days for a typical order of say 25 Polo Shirts, after the design sign-off has been received. Our advisors will be able to give you an estimate during the design sign-off process. Delivery time really depends on the option that you select at the checkout. Most of our orders are shipped via Royal Mail’s tracked delivery service, which takes 1-2 days to arrive. We also offer a next day recorded delivery service; orders must be received before 12.30pm to be dispatched on the same day. If you wish to upload artwork for your order, you will need to provide us with a good-quality image to ensure that your printed garments are of the very highest standard. While our uploader tool accepts most file types, we recommend using JPEGs, PDFs, Photoshop files, or Corel Draw images. Can I return my garments if I am unhappy with them? Branded garments can only be returned if faulty – customers may not return their goods if they mistakenly order the wrong size(s) or item(s). If you receive any faulty goods, you must notify us in writing within 7 days of your purchase, or no refund will be issued. If you would like to sample any of our garments (e.g. to check sizes) please drop us an email at sales@myprintedclothing.co.uk and we will do our best to accommodate you. Sometimes samples are not possible, which is why we recommend that you email us.